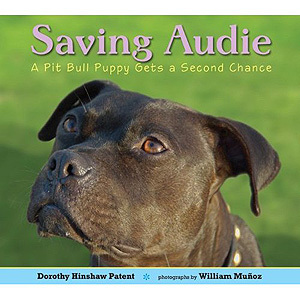 Audie - the Vick dog survivor who inspired the children's book listed in our sidebar- could care less about his past and is anxious to tear up the agility course now that his once-faulty knees are fully healed. He competed in his first AKC sponsored show last weekend at the Staffordshire Bull Terrier of America Agility trial and did very well. Lookit that proud boy and his ribbons. Who would've guessed? 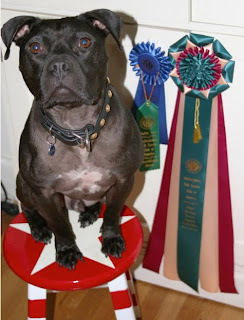 To add to his happy day, when Audie and his handler Linda Chwistek were driving home from the trial, they learned that Audie had been announced as the high scoring Novice Staffordshire Bull Terrier of the weekend. Not bad, little man! Pretty Gigi is finally home for good. 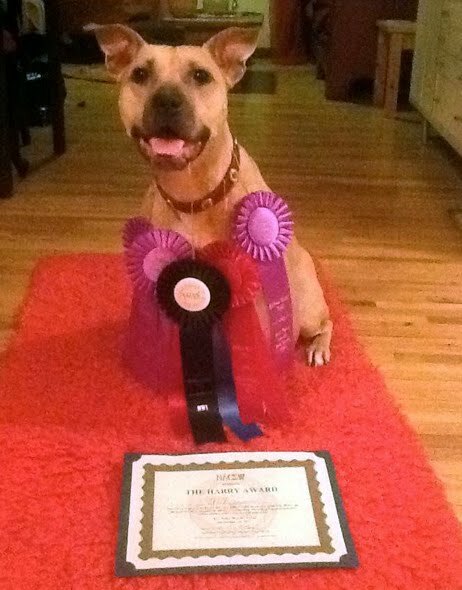 She came to us via the large dog fighting operation known as the 'Missouri 500' bust, named in honor of the 500+ victims pulled from various dog fighters around the midwest in the summer of 2009. What took so long to get home? Gigi's story is especially sad. She was one of several dogs who were hurt very badly by Missouri-based humane investigators who fought dogs during their undercover investigations in 2008. (Video and Story) Gigi's scarred body tells the story of numerous fights during the time period that she was owned by investigators. After they were done with her, she was transferred into our program along with nine other dogs - most of whom did not survive the transition to real life. Just a Dog Rescue in San Diego then opened their doors to her and provided ongoing support for her health care needs and rehabilitation. It was a rough road for this little one. She suffered from an advance case of heart worm and several injuries including the mental damage that comes from a life of mishandling and abuse. Several months into her recovery, Gigi's foster parents confessed that they couldn't imagine being without her in their lives, and signed adoption papers to announce their commitment. 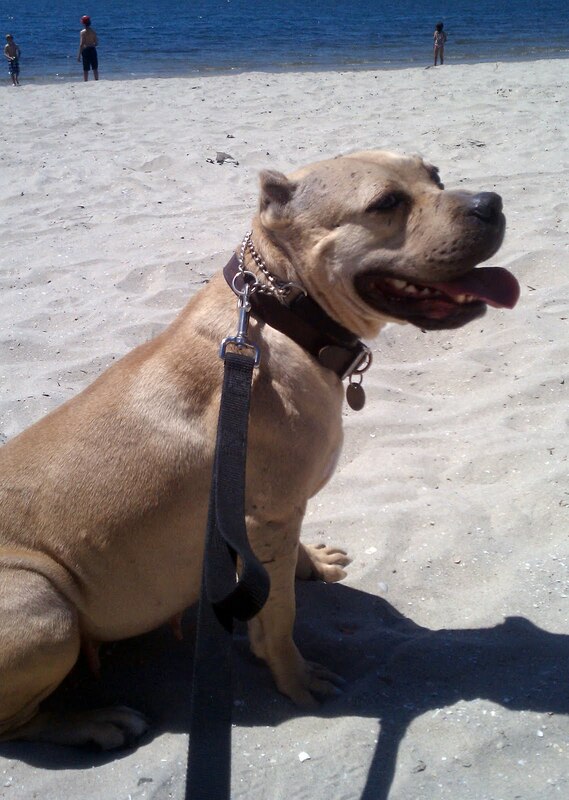 She enjoys the beach as part of her new life, and attends Just A Dog's obedience classes to visit her old friends and forever saviors. Welcome Home, Gigi. 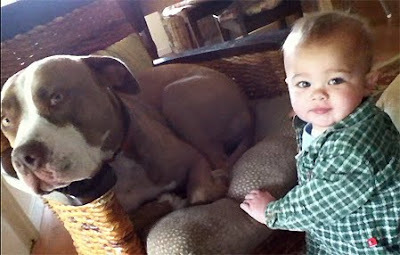 Leo - once known as Bouncer - has died of natural causes after several years of service as a therapy dog. 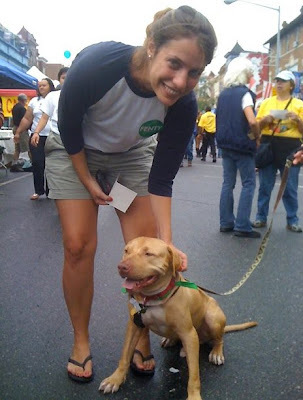 He was the lucky resident of Hopewell Animal Control in VA when we met him - the only Vick dog in their shelter and a certain celebrity. Thankfully, he was never fought by Vick and received daily outings and kennel enrichment at Hopewell, all of which allowed him to streamline right into real life when he was transferred to Our Pack. 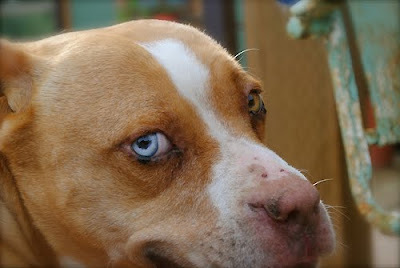 He is one of five Vick dogs to have died since their rescue in 2007 and follows Aretha/Seven, Sweet Jasmine, Bonita and Red. He will be dearly missed by the world of Vick Dog fans. 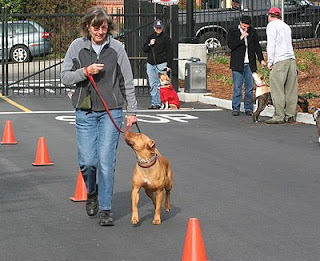 Right: Guardian Master Rebecca Huss enjoys Leo during his evaluations in VA.
Mikey - another survivor from the Missouri 500 case - flew back to Oakland with us after we met her during our evaluations of dogs sent to the Animal Rescue League of Iowa. Full of spirit and drive, she was accepted into the Washington State Patrol as a bomb detection dog, but budget cuts in WA grounded her in Oakland. Not to be discouraged, she was adopted by our Ambassadog trainer Sara Scott, who has been competing her in nosework trials. 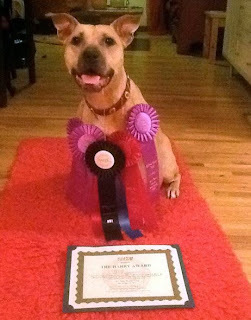 Mikey recently earned her NW1 title in a nosework competition, along with the 'Harry Award,' which is given to rescued dogs who impress the judges. Way to go Mikey! 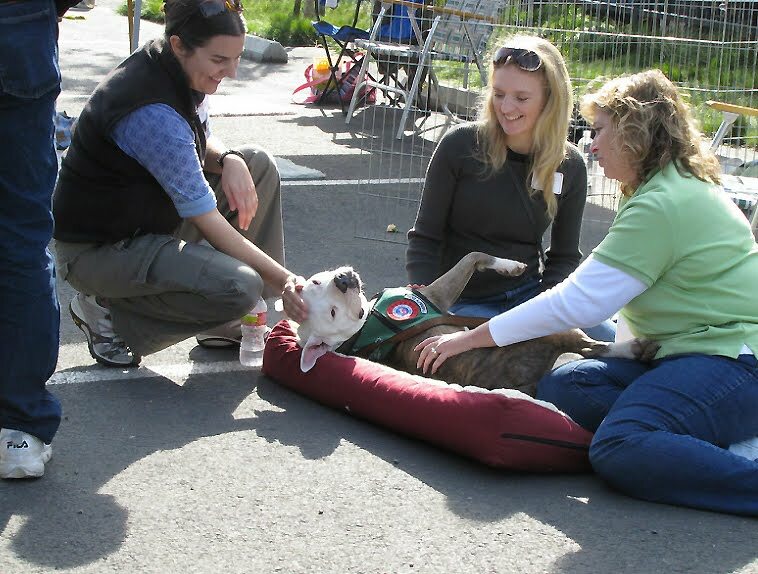 Another happy note: Inspired by the MO500 dogs who did so well post-rescue, the Animal Welfare League of Iowa lifted its ban on pit bull adoptions and has been enjoying great success and happy adoptions ever since 2010 through the ARL Pit Crew Club. Visit their dogs on this project's facebook page here. Except for those cases where photo evidence is needed for cruelty charges, I don't have the heart to point my camera at dying or suffering dogs. I think it's unnecessary and rather exploitive and we see far too much of that in the constant "Save This Dog!" posts that get cross posted round and round and jam our mailboxes. But I bit the bullet and took this photo of Miss Birdy when she first came to us, hoping we'd be able to post it with a happy ending at some point. We are. 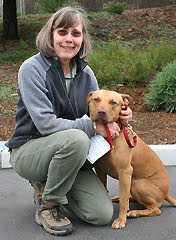 She did a detour in the parking lot of Oakland Animal Services where an officer winked the finder off to Berkeley Animal Care Services. And so off she went to BACS and then to our barn to enjoy many, many tiny meals, warm raincoats and new friendships. We hold our breath with dogs like this. She's a senior dog with a list of health issues, and we won't know 'who she is' until she feels better. Will she die on our watch? Will we have to make a difficult decision and let her go? How much should we budget for her care? How long will she need us and how do we plan for her? A veterinary exam revealed that Birdy has lymphoma, and while she isn't suffering, her days would be limited. Weeks? Months? A year or more? All we knew is that Birdy was very very grateful for any and all attention. 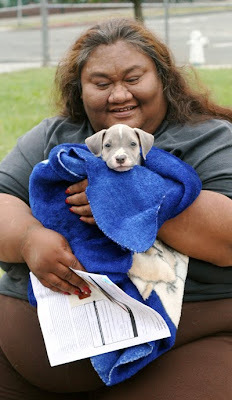 She gained weight, demanded affection and even flirted a bit with the boy dogs. The longer she was with us, the more we realized we were helping a living dog, not a dog who needed us to fuss over her end. Here's the happy part -- And where I can finally justify taking that awful photo when Birdy was at her worst. 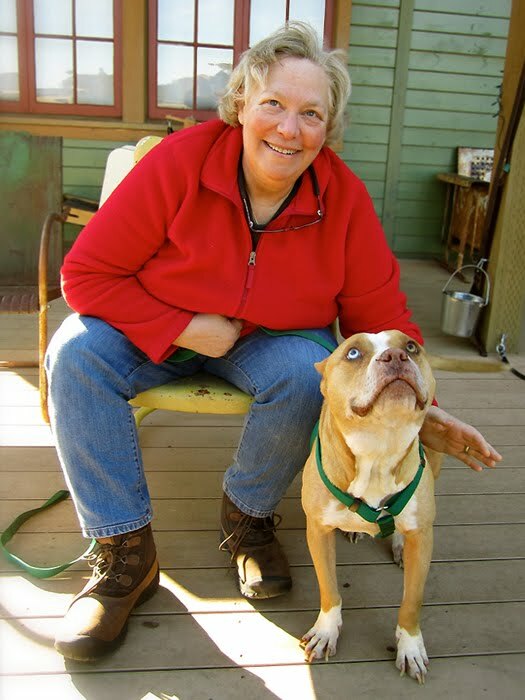 The former street stray went home yesterday, and her adopter Anneke is just thrilled about her new pet. She asked, "What should I feed her?" My answer: "Anything she wants." They shared a burger on her way home from the barn, and we're quite sure they're going to be living a very, very nice life together. Miss Birdy is home and all is right with the world. With many thanks to Erin G. for saving this girl when so many others kept on driving. More (early) photos of Miss Birdy here from the very talented creator of the Love and a Six Foot Leash blog Thanks again, Aleksandra. Anneke has promised us a blog of Miss Birdy's exploits, so we'll post that link here if and when she does. 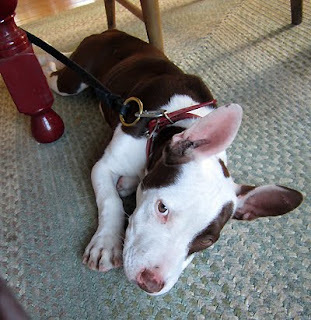 And more early niblets of our team helping Birdy get acclimated are lined up in our Barn Dog Blog. 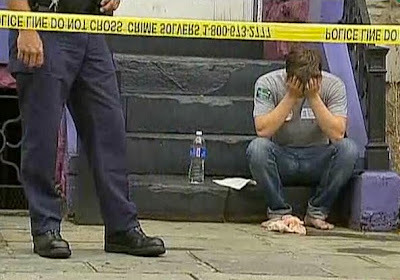 The world is not a safe place right now for people who've lost their income. It's important for those of us who have incomes to stay optimistic and to use our resources wisely to grow a sustainable future, but that optimism should never be allowed to blind us from the realities that too many less fortunate are facing. This is equally true of dog owners who are having a hard time meeting the needs of their pets. On behalf of those people who are committed to their pets in spite of their hardships, we want to thank every volunteer, rescue group and granting organization who've made giving to low income dog owners a priority in their mission this year. We simply can't help the dogs we've assigned ourselves to help without addressing the needs of their owners first. We have to put blame and judgement aside and value the bond every pet owner deserves to have with his pet, even if he has to make decisions that more privileged dog owners might disagree with. Selling puppies to keep the lights on and feed the kids. 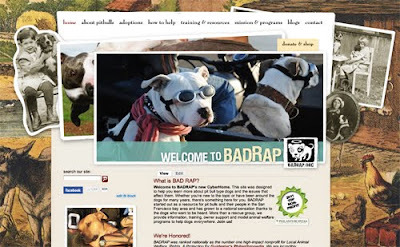 Wouldn't you?… Giving your dog away on craigslist when too many landlords turn you away? What choice do they have? 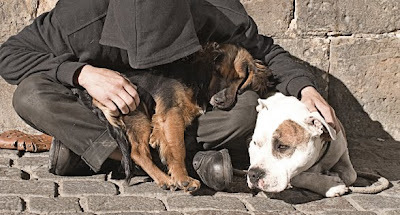 … Sleeping outside on the cold cement because local homeless shelters won't allow pets? You know you'd do the same. The photo on the right has served as a wake-up reminder to me since badrapper Christine Allen snapped it at one of our owner support events. Clearly not a woman of means - it doesn't look like she can afford dog sweaters from etsy much less obedience lessons much less quality vet care. 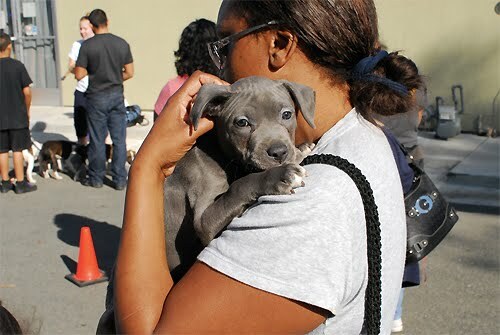 To make sure her puppy got her (free) vaccinations, she showed up four hours early to one of our events in a not-so-safe East Oakland park to secure her place in line. Whenever I find myself slogging to muster the energy to sew together the pieces of another shots fair, I call her image up and presto, my attitude gets itself in line. We're incredibly grateful to PetSmart Charities, who "gets it" - that dog owners need support, and who helped us help hundreds just like this lady in 2011. 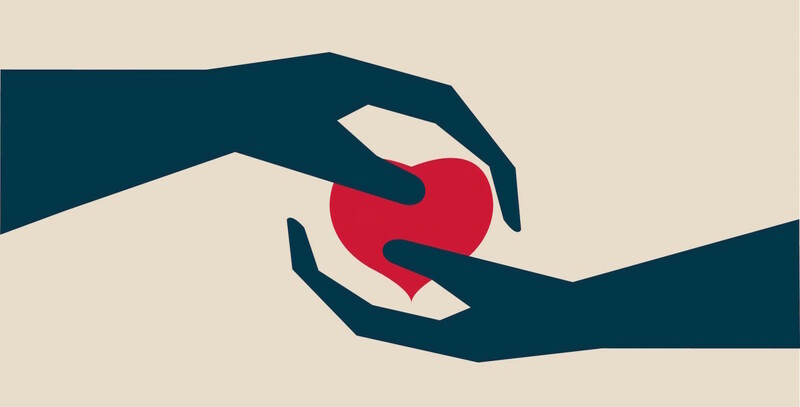 And to our diehard volunteers who've perfected the art of compassion in these communities. And to everyone reading who nods 'Yes' when we mention the need to extend ourselves outside of our comfort zone in order to help the dogs by helping their people. Below is a thanksgiving story from a cyber friend Amanda Verlander in Massachusetts about a moment when she realized how lucky she was. Happy Thanksgiving to all. I am a follower of yours from way out here in Massachusetts. I had to share this story – well – some reflections on a chance meeting really, in New York City last week. I was in NYC last week on business, and I was walking up Sixth Ave around 5pm on a crazy cold and busy Friday night. 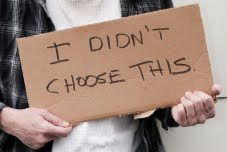 There, on the ground, propped against the wall of a bank, was a homeless woman sitting with a sign asking for money to feed her dog. As I got closer, I saw that covered in a blanket next to her was a very tired, white pit bull. The dog lay, its belly against the cold concrete, quiet and almost unmoving, as the thousands of rush hour footsteps brushed past her curled up body. I spoke to the woman – her eyes fluttered open. I said that I have a pit bull too, and handed her some money. I noticed one tiny star tattooed under each eye on each cheek. Really? She asked, as she emerged from a kind of trance. Then she laughed – do you dress yours up in silly outfits too? I looked and saw that her dog had a little wool hat pulled down around her bully ears. A pool of wet saliva or drool or something lay on the ground beneath the dog’s nose. I said a quick prayer inside – please don’t let it be from a respiratory infection. It was such a cold night. I laughed and said that my girl has a banana costume that we dress her up in it because she loves bananas. The woman smiled – Really? Bananas, she asked? MMM hmmm – take care of your momma, I said out loud to the dog, as I walked away. I ran back to the building where I’d been working all day and grabbed two leftover turkey sandwiches from lunch – and then jogged back to where the woman sat outside. I bent down and she opened her tired eyes again. I said, here – take these – and she said, I’ll only take one. 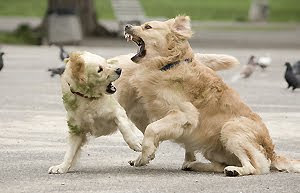 I said, no – please – take one for you and one for your dog. That’s why I brought the turkey. She said ok – the dog lifted its nose for a moment, sniffing, showing a mild interest in the plastic box containing the sandwiches. Then she put her weary head back down on the sidewalk. What’s her name, I asked – her name’s “Keelo,” the woman said. I said good bye again. I wished so much that I had a camera at that very moment, to capture their picture and this moment in time, before I walked away. I would send it to every person who has ever doubted the souls of these dogs. To the same people who doubt the souls of those who love and need these dogs, and who try so hard to care for them, even under the most desolate of circumstances. A train ride and six hours later, I climbed out of a cab in my small town in western Massachusetts, I looked up gratefully at my little, one hundred year old brick house, so warm and strong against the cold, clear darkness. Within these walls, I knew that my little girl and sweet husband lay sleeping, peacefully. I unlocked the door and tiptoed inside, waking my 9 year old dog, Rosalind. . .who may be getting grey around the muzzle, but she is still the most energetic and pushiest broad I know (besides my 5 year old human daughter). And yes, she is a pit bull type dog – more of a staffy – squat and chesty – I bent down to give her a big juicy kiss on her soft black cheek, scratched her ears, and said, I missed you my girl. . .thank you thank you my lovely girl, for always being there for me – for all of us. Happy Thanksgiving, Bad Rap. Thank you for all that you do for these dogs and for the people, rich or poor, who love them. Yes, Detroit's situation with its care of shelter animals is depressing. The shining light, the beacon for change is over 2000 miles and seemingly light years away. We're so grateful to SAWA (Society of Animal Welfare Administrators) for including BADRAP in their field trip plans for conference guests. With a little luck and a lot of work, we know that Berkeley's example can become the mainstream. 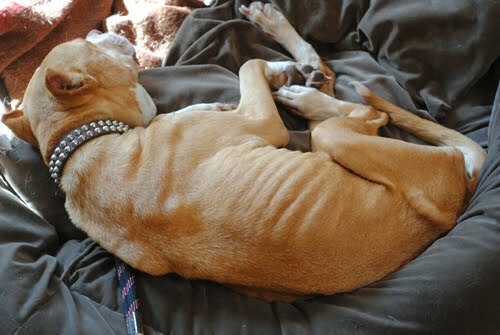 Detroit's mandatory destruction of unclaimed pit bull type dogs has marched on for years with little protest until last week when a starving dog showed up in an Ace hardware store in need of compassion and help. 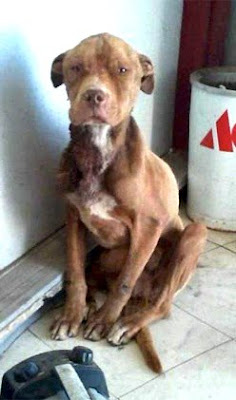 Today, despite quick thinking and the best efforts of several organizations, citizens and a judge to save him, that dog is dead - destroyed by DAC. 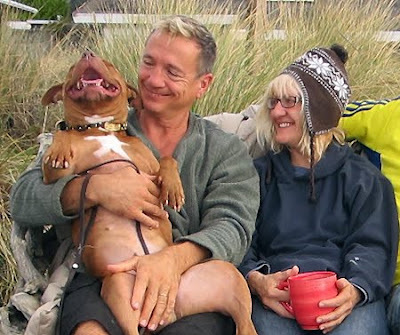 What happened between his original rescue and his death tells us more about the state of a visionless city than it does of so-called pit bull type dogs. Technically, he did the right thing when he found Ace. Just as you'd call an ambulance for a fallen citizen, you call the right city people who are charged with caring for its animals, right? Unfortunately that call sent Ace on a death march, and four days after he went unclaimed (DAC has stated that no one was able to satisfactorily identify him as their property, despite several failed attempts), he was duly destroyed at the shelter - business as usual. The Ace Hardware employee stated in a media interview how much he regrets making that phone call. Who knew? A judge agreed with Veronica - let the poor thing live so we can sort this mess out. (News Link) DAC has probably never heard such a racket (for a pit bull? good god), but the walls of the shelter must be pretty darn thick, because Ace was dead before the ink was dry on the judge's orders to keep him alive. "If we grant this one exception, we are simply not set up for what will undoubtedly lead to overwhelming appeals in similar cases." Read: "Screw the courts. If we let this dog be absorbed by people who want to take responsibility for him, we'll be stuck with helping other needy dogs find help too." Sadly, no one who's familiar with the city seems remotely surprised by the position it took, including the Michigan Humane Society. 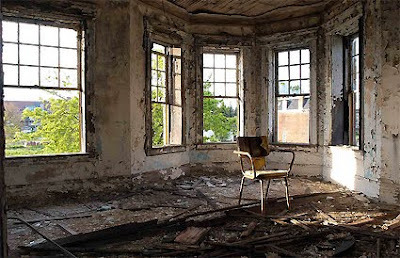 After all, it's Detroit and Detroit government has become a bit of an expert at allowing things in its care to die. Through his unnecessary death, Ace has unwittingly become a fitting mascot for the city leadership. So what now? The cat's officially out of the bag about the city's inhumane policy regarding pit bulls, and everyone's rightfully pissed off, but reforming a city shelter in the middle of a collapsed economy with this kind of discouraging leadership would make anyone want to bang their head on rocks. We're certainly disheartened. Some are banging drums and vowing revenge, but to add to frustrations, some of the rescue groups in the Detroit area fight with other like cats and dogs. Their movement tends to be emotion driven, disorganized and territorial - a reflection of the chaos that reigns in a town without direction. Whether this horrible situation can evolve into something positive for the city animals is yet to be seen. I'm so sorry about Ace - So sorry about Detroit. You were once beautiful (you were once my home) and you deserve so much better than what you've gotten: Arrogant, apathetic leadership, heartless policies, lost and ignored opportunities. Rest in peace, little buddy. 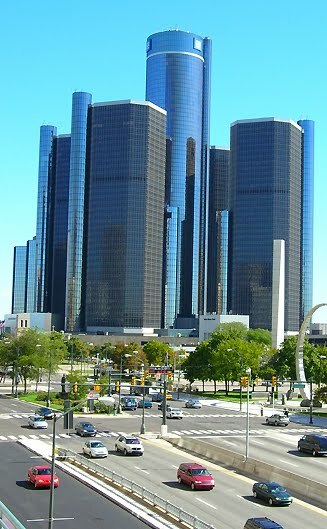 Good luck Detroit. Detroit News coverage on Ace. A revealing and important series in Time Magazine on why Detroit is so screwed up. 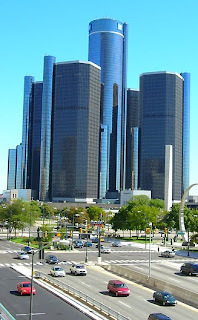 The Tragedy of Detroit. 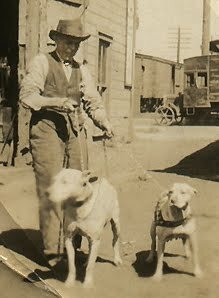 Announcing our new Vintage Photo Gallery Page with great photos of dogs & their families that we've dug up along the way. Because while we keep our sights set on the future, these smiling faces from the past are constantly reminding us to enjoy the present. If you have a favorite family photo or ebay treasure, first, lucky you! - Second, please consider letting it hang in our online gallery for all to enjoy. Thank you. 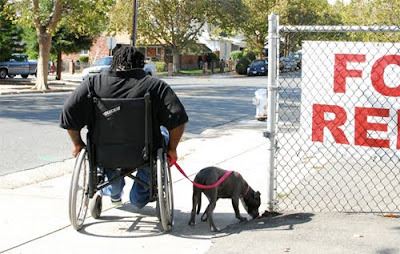 According to the animal control officers interviewed in this news report, Wilmington DE has been rounding up dogs from low income people who can't afford special licensing fees and spay/neuter surgeries and warehousing them since 2000. 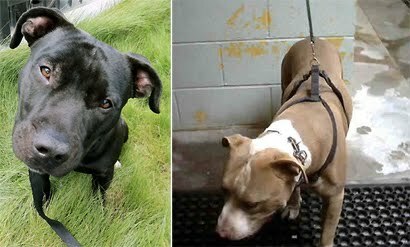 Some are housed in overcrowded kennels for up to two years until they get too sick to keep. The euthanasia numbers must be staggering. Mandatory Spay Neuter. 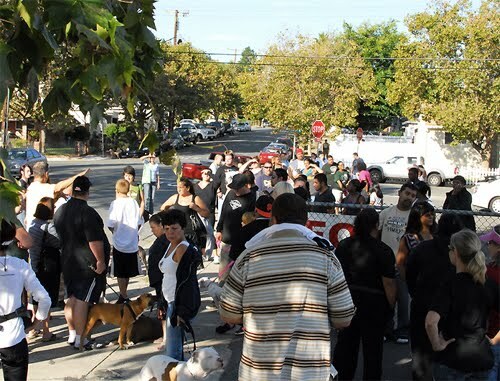 San Francisco tells us that it's working for them, yet the city shelter recently alerted its public that it would not be able to accept any more dogs because of overcrowding. 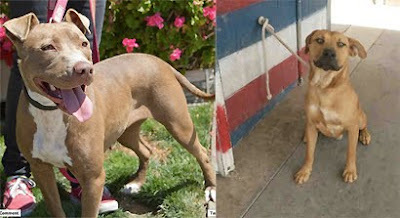 Pit bulls (as well as other breeds) continue to pour in the doors. 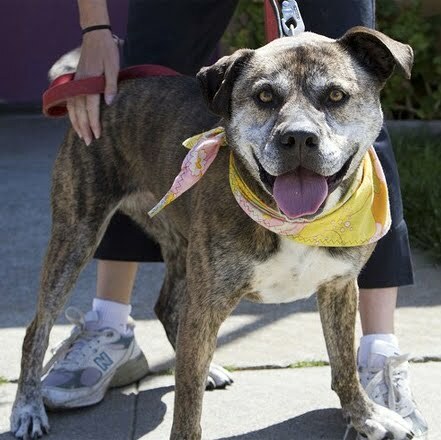 SF-based rescues post desperate ads for foster homes on Craigslist, and dogs that can't be reached in time continue to die. 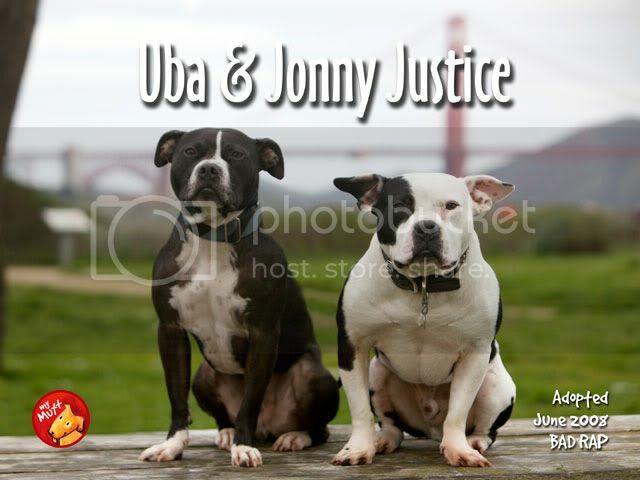 Are laws that target pit bull owners working? This report from DE is one of the most to-the-point demonstrations we've seen of the practice in action. Please take a minute to watch the video attached to the news report and tell us what you think. 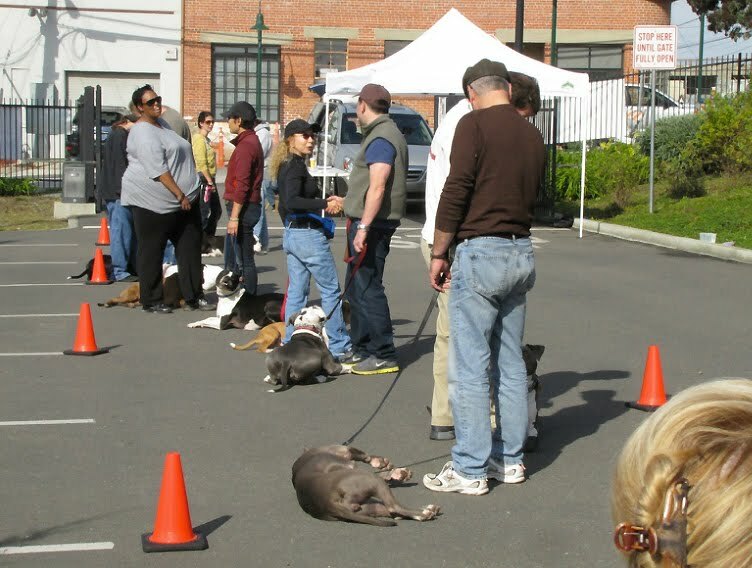 In the meantime, pit bull owners have been streaming in to fill appointments for free spay neuter surgeries offered at our recent Celebrate Your Pit Bull fair. From one event, thirty four surgeries completed on site and 58 are scheduled. One gentleman told me "Thank you. You saved my life. My female got pregnant by her son and I didn't have money to end the pregnancy." She was spayed during the event. Her son is getting fixed this week. Photos of the event. When it's so easy to help under-served dog owners get their dogs fixed using a welcoming, voluntary approach, why would anyone want to use coercive laws and intimidation? BR blog posts will come to you in email form, pretty pictures and all. Thanks for asking, btw. While you're at it, sign on for alerts for our Barn Dog Blog. There's always something going on in foster dog land and we don't want you to miss out on news. Like this weekend. Fun news coming up as a few special visitors stop by to say hello. EDIT: Rochelle tells us that she organizes her daily reads on Bloglovin. Nice. And can I just say how much we love Jondi? Her story is excruciating, but things have been looking up for our red girl. We've lived with our old website for nearly 12 years so it was an interesting walk-down-memory-lane experience to revamp and redo a new site. Back when we originally built it (thank you Heather Capp), we had a very small roadmap for doing this work and no idea what the future would hold. We went into this project with a blind optimism that if we did some good work, some good things would happen for the dogs and their people. We were a pee-wee rescue group only trying to find a way to help the dogs that were standing right in front of us. Building the new site has made me ever more appreciative of how much has changed over the years and the people we've met along the way. Jane Berkey and Stacey Coleman of Animal Farm Foundation, Ledy VanKavage of Best Friends Animal Society, Don Cleary and Karen Delise of National Canine Research Council - their bones and their wisdom are now a part of who we are and though you may not see them in our website, their good influence is inside so much of the content. So are the officers of our group who've been with us from the beginning and who embody the soul of pit bull activism: Christine Allen, Susi Ming, Linda Chwistek. And the diehard volunteers who are too big-hearted and too stubborn to walk away from this work: Kim Ramirez, Donyale Hoye, our incredible foster homes and dog handlers. When the facebook based software company Zynga gave a gift to help us move our project into the future, it seemed like the right time to say good-bye to our past with a new and improved site. Your feedback is welcome as we pick at it, edit it, add to it and make this vision real. Thank you. I need to preface this post by saying that it's very opinionated and may or may not reflect the opinion of others in our group ... individuals that we are. 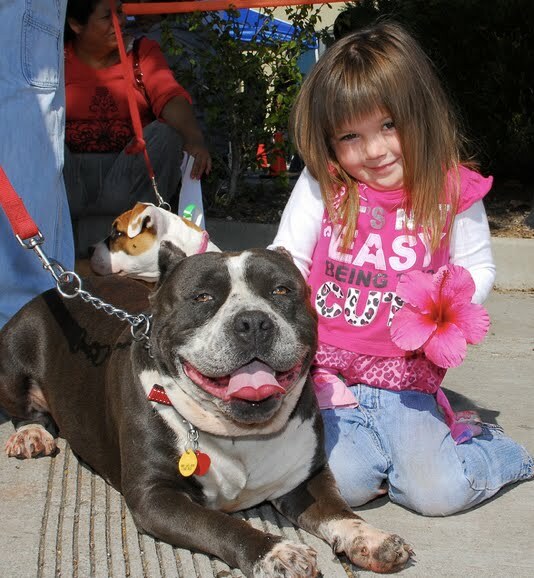 I'll be the first to admit that I've never been very keen on the idea of Pit Bull Awareness Day. It's lovely, but it supposes that we need to market pit bulls to the world of (usually, white) people who (might) think they're scary. At this point in time, if people think dogs or people for that matter are scary based on what they look like, there isn't much we can do or say to help them see their way out of that mindset. But we'll keep keeping on with our events and activities and maybe those folks will notice how much fun we're having with our dogs - or maybe they won't. I sincerely believe that it's not up to us to change anyone's mind. We're here to have a good time with the dogs we call family and do some good work with the dogs and people who aren't so lucky. 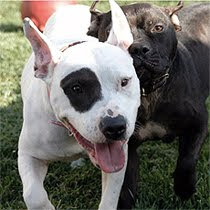 On that note, as an animal welfare group, we do believe that it is up to the collective 'us' to look for ways to help the tens of thousands of pit bull owners in our home counties get what they need so they can enjoy their dogs. 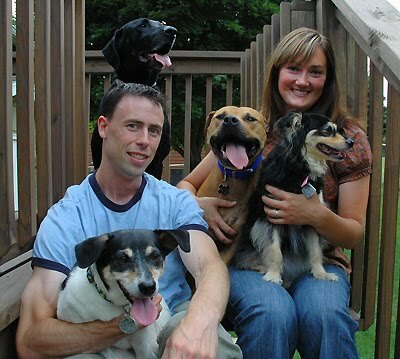 Which isn't easy considering dog owner resources are few and far between, and the economy has certainly forced many to make incredibly difficult choices, including surrendering their dogs on the heels of misfortune including foreclosure. 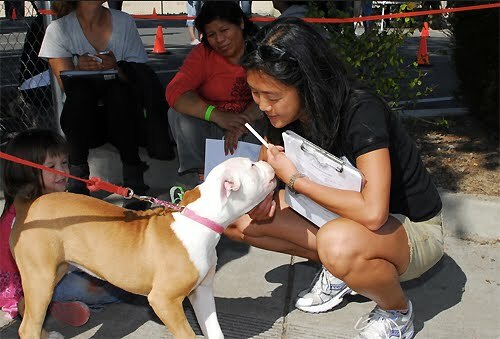 So to celebrate the dogs the way we love best, we went out to under-served Pittsburg last Saturday and teamed up with Well Pet Vet Clinic to help people get their dogs fixed, vaccinated, microchipped and trained. There was no need to convince this crowd that pit bulls can be valued family members. There wasn't even any need to convince them that spay/neuter or training was beneficial. They were here for all kinds of help, and everyone was very grateful to get it. The event officially started at 11am on Saturday. At four in the morning, people started lining up to make sure they were able to get what their dog needed... Four in the morning. At 8am, over 75 pit bull type dogs were in line to get spayed/neutered. By the end of the day, that number rose to 90 and we started wondering how far over budget we were going to go. A good problem to have, actually! When you see a line like this, you have to wonder: Why would anyone in the world think that mandated spay/neuter laws would be practical or even necessary? 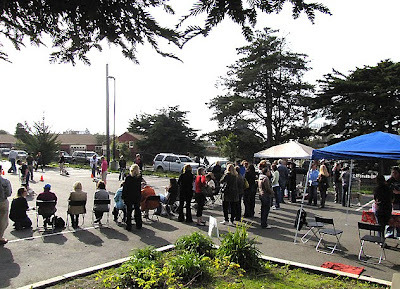 All in all, a hugely successful event that took a relatively minimal amount of planning. All advertised via flyers and word of mouth in under-served communities by fellow dog owners in the community, and staffed by volunteers who value this work. We are enormously grateful to PetSmart Charities for allowing us to buy so many surgeries (even though - gulp - we might've gone a little over budget on this one). And to Well Pet Vet Hospital for not passing out when the line grew around the block. You people rock in ways we didn't know people could rock! Finally, huge thanks to our volunteers for your heart and tenacity and to Best Friends Animal Society for sending shelter workers from out the area to witness the way we like to celebrate pit bulls. Finishing off with the best photo of the day. Thanks for your photography Brian George! Chris and Tina van Wolbeck sent a donation this week in honor of Kate and Marshall Reed's recent kindness. What did the Reeds do to inspire such a generous gift to the dogs? Chris tells the story himself, along with the lessons that came out of a very scary experience. My wife Tina and I recently learned a lot about what to do if a dog goes missing. I am writing this in hopes that it may help someone else who loses their dog. On Saturday, September 24, 2011 we were camping in the Lakes Basin area in the Sierra Nevada Mountains. We left Penny, our beloved pit bull mix, behind to watch our motor home while we went for a hike. When we came back we found that she had escaped through a window. Penny came to us from the Oakland Animal Shelter, so we don’t know what her previous life was like but we do know that she is very shy and depends heavily upon us for her emotional stability. I believe that she escaped to come looking for us. She didn’t find us for six days. We were devastated when we found her missing and immediately began searching the area for tracks and calling her name until we were hoarse. When it became apparent that she was nowhere nearby, we widened the search area and began putting up signs at campgrounds, stores, post offices, turnouts and everyplace where we thought people might see them. We did this until 1 a.m., when we decided that we had covered an area wider than we believed she could cover in that amount of time. Sunday morning, we resumed the search and widened the area to about a 30 mile radius, putting many, many more signs out and talking to everyone who would listen. There is no cell service up there, so we didn’t get the message until about 5 pm that the Sierra County Sheriff’s officer and two other people had seen Penny at about 9 am, about 5 or 6 miles away from where she disappeared. We immediately went to the area and began calling again. We didn’t find her. We were supposed to be back at work on Monday but took another day off to look for her. We couldn’t bear the thought of leaving her up there. Penny has very short fur and gets cold easily, even inside the house. We moved our motor home to the area where she was last seen. We visited every house in the area where people were home and continued calling her. We left that afternoon to come home. There had been no more sightings of Penny and knowing that she was lost in an area strange to her and that there are mountain lions and curvy roads with cars, we feared the worst. On Tuesday I went back to my job as a high school teacher and told some of my colleagues about what had happened. Many of them encouraged us and told us not to give up and were sure that we would find her. I was not so sure. One very helpful and compassionate couple, Jeff Torquemada and his wife Wendy know Penny and know what a wonderful dog she is. Wendy left Wednesday morning and spent two days searching for her. There were still no more reported sightings. My friend, Chad Cochran spent hours on the internet, checking with animal control and shelters within a very large area. He actually found a dog in Reno who looked remarkably like Penny. On Friday morning, my friend and Colleague, Don VanNess and I left to resume the search. Tina was planning to come up after work. We lost cell phone service at about 11:00 am. We began retracing the route which we thought Penny took from our campsite to the area where she was last seen. When we got to higher elevation, we got into cell phone range and I had two messages. The first one was from Kate Reed, who has a cabin about one half mile from where Penny was last seen. She had Penny. We called and got no answer. I listened to the second message and it was the sheriff’s office informing us that Kate had dropped Penny off there. 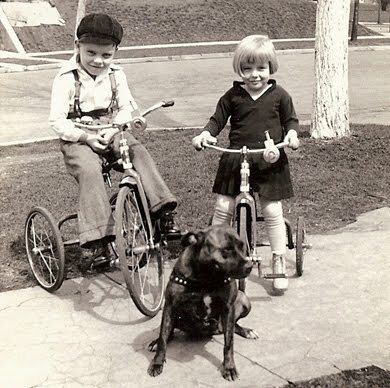 Through the small town grapevine, our friends Glenn and Irmke, who live in Sierra City, six or seven miles away from where Penny was found, had already heard that the sheriff had her. They beat us to the sheriff’s office by ten minutes. Eventually we caught up with each other and we were reunited with Penny. Below - Penny with Chris and Tina's grandson Max. So what did Penny teach us by getting lost? The first and most important thing is to get the message out as quickly and to as many people as possible that your dog is missing. Kate knew exactly who was on her porch Friday morning because she had seen one of our signs. We had given the sheriff’s office our phone number and a description of Penny, so they were familiar with the situation. 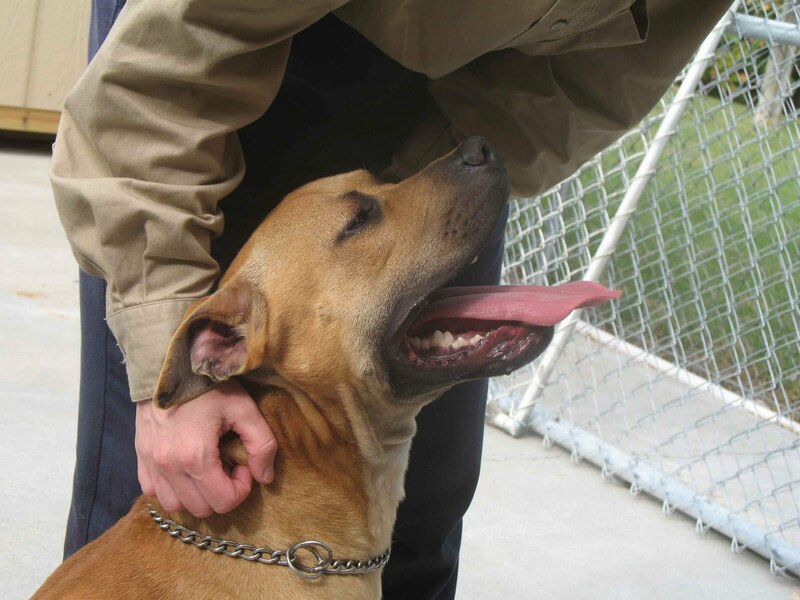 Also make sure that local animal control offices and animal shelters have her description. The second thing and also very important is don’t give up. Keep looking and keep your dog fresh in people’s minds. Third is, rely on your friends for support and help. Don was absolutely sure that we would find her and we did. That kind of positive energy can only help! Fourth is get your dog a distinctive looking collar. The easiest thing to describe about her was her orange collar with daisies. Fifth is to make sure that your dog is micro chipped, so that if the collar is lost your dog can still be identified. Good work, everyone. We appreciate you sharing these important lessons - and huge props to everyone who stayed so determined to find sweet Penny, despite the insurmountable odds. In the spirit of helping more lost souls find their way home, your thoughtful gift is earmarked for a special stray on his way into our program. We'll holler when he gets here! When I shopped for our newest family member a little over a year ago, I was no different from scores of people who pour over hundreds of teeny tiny hard to see photos on websites in search of "the" dog face that would somehow speak them. What an enlightening but maddening experience! It was easy to see why some shelters attract more rescue help and adopters than others - they know how to win hearts with a good photograph. Below are some dos and don'ts when capturing dog faces in hopes of attracting those solid homes. Many thanks to Berkeley Animal Car Services, whose volunteers set the tone with some of the best examples of public shelter portraits on the Net. All of the appealing photos in this post are from their facebook page. I won't tell you where the not-so-great photos came from! Above - Look into My Eyes - Which dog do you feel connected with? Unless you want to send potential homes running straight to the backyard breeders, avoid using photos of distracted dogs in bleak and dismal backgrounds. Eye contact is golden and easy to get with a dog treat and a silly sound at the right moment. Black dogs photograph best in the early morning or close to dusk. You might end up taking 20 photos to get that winning shot, but with digital cameras, who cares? That one winning shot you spent 10 minutes trying to get will empty your kennel much faster then the bad photo you grabbed in a fast hurry. Above - Touch Me. Adopters are rightfully hoping to find family dogs who welcome touch, but institutionalized settings only serve up the heebie jeebies. Get that pooch outside where he'll look (and feel!) more like herself. If your subject is shy or uncomfortable with the camera, a warm embrace can make all the difference in her experience as well as the viewers' opinion of her. Above - What a difference a pretty background makes. This photographer was smart - it looks like she waited until her subject was back from her walk and 'smiling' before she pulled out her camera. Dogs that are tied to walls might beg up sympathy from a select few, but the fearful body language that comes along with being tied will send the more discerning dog shoppers to websites where it "feels good" to look for dogs. You can't blame them. Above - Ouch. 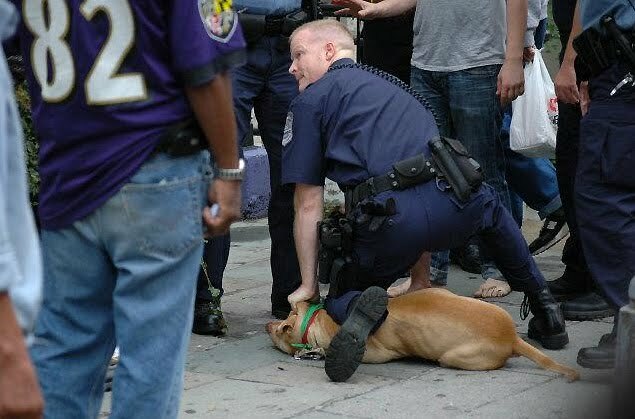 Did that dog on the left do something bad to land him to jail? Probably not, but the chain link mimics the photos news outlets use of dogs who've been involved in bites. 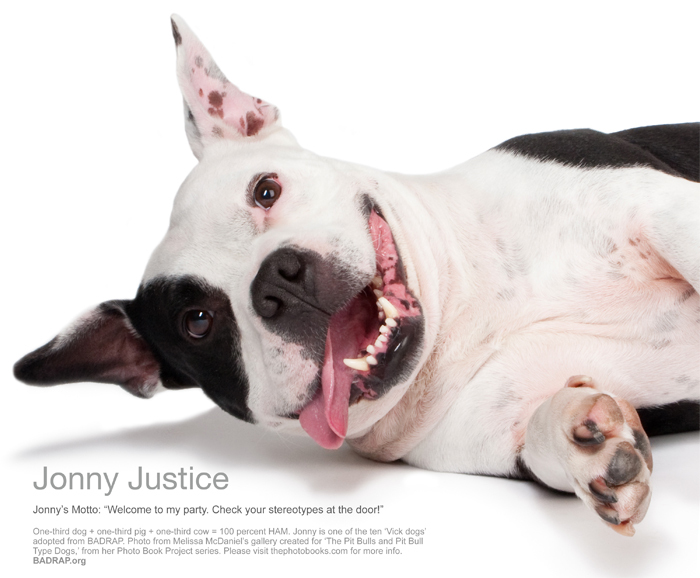 Compare to the photo of the happy dog who wants to show us how much fun her adopter will have with her. 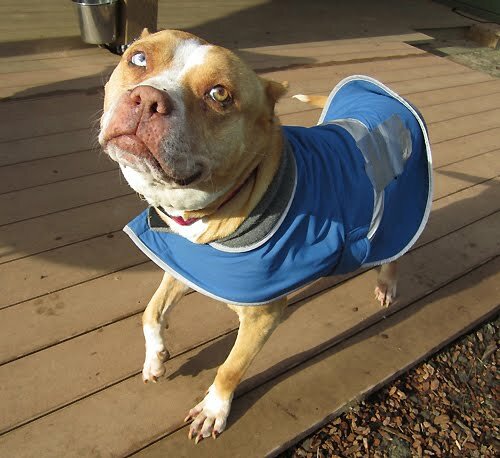 Finally, I had to end on this most inviting shelter photo. It says, "Yep. I'm an older, brindley mixy girl. But I'm loved here at the shelter and I've got a lot of life left to give. Come on down and get me!" The gentle hand on her flank, the splash of color with the bandana, the smile that came from (probably) taking photos after she'd been exercised. And note how she's standing on her handler's shoe. Love it. Here are more tips from fab photographer Lori Fusaro on ways to grab a digital masterpiece. 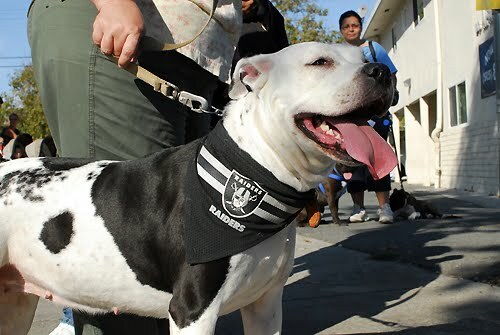 And, more examples from Berkeley Animal Care Services. Good luck!